However, only half of the sum is guaranteed. 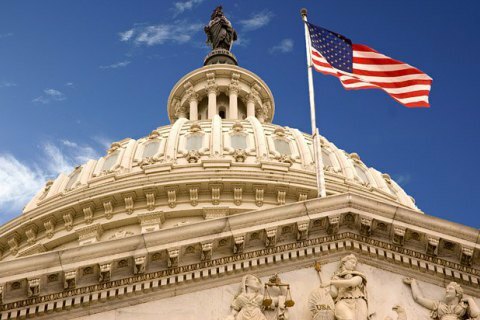 The US Senate on 16 November approved the 2018 defence policy bill, which allocates 4.6bn dollars to deter Russia in Europe and 350m dollars in military aid to Ukraine. The document will now be sent for signature to Donald Trump, the Ukrainian embassy in the United States said. The draft law authorises the provision of Ukraine with lethal weapons of a defensive nature and significantly expands the parameters of Ukraine's support from the USA in the field of security and defence. Thus, the bill includes provisions that allow the use of US defence budget funds for the rehabilitation of wounded Ukrainian servicemen in medical institutions in the United States, education and training of Ukrainian medical specialists in this field, and enhancing the capacity of the Ukrainian air and naval forces. For the first time on the legislative level, it is proposed to provide Ukraine with defensive means like air defence and above-the-surface surveillance radar systems; naval anti-mine equipment; and coastal action and coast guard vessels. The bill contains is a clause according to which only half of this amount is allowed to be spent, while the disbursement of the other half is limited as long as the head of the Pentagon provides the Congress with evidence that Ukraine has made significant efforts to carry out institutional reforms in the defence sector, "extremely important for maintaining the created capacity for the use of security assistance provided." Overall, the USA will allocate 4.6bn dollars to the fight against the Russian threat in Europe in 2018. The money is intended to finance the deployment of US troops on the continent, the upgrade of European military infrastructure and assistance to allies, including non-NATO members. The total amount allocated to the Pentagon is almost 700bn dollars.